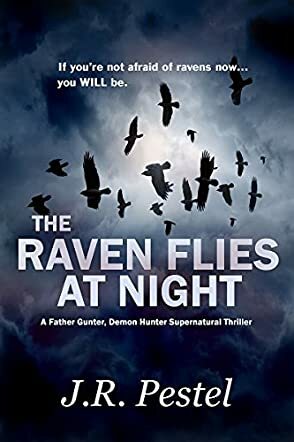 In The Raven Flies at Night, Father Gunter, Demon Hunter Book 2, featuring Johann 'Father' Gunter and Robert Durling, the duo comes to the town of Mountainview to investigate a series of murders and suicides, along with an uncanny infestation of ravens in the town. The demon hunters soon learn they are facing not one, but two demons, each of whom ranks in the highest levels of Hell's hierarchy. Armed with nothing more than a shotgun, a pistol, and an untested talisman, the pair faces a near impossible task. Though part of a series (that now includes a third novel), The Raven Flies at Night can easily be read and enjoyed as a stand-alone novel. Janine R. Pestel does a good job of intermingling first book details into this new adventure for the demon hunters. The plot, though not unique, offers several interesting twists that create a sense of freshness and originality. The character development and dialog are well suited for a young adult audience; easy to read, fast-paced, and uncomplicated with lengthy details. An interesting sub-plot, carried over from the first book in the series, is Gunter's search for his missing sister, Theresa, who was taken by demons but continues to haunt him with the belief that she still lives. Books in a series often conclude with a sheer cliff-hanger. Pestel cleverly avoids this pitfall with a conclusion that clearly wraps up the main story line while leaving an indication of more to come for demon hunters Johann and Robert. A good, fast read recommended for horror fans of all ages.